Dr. Woc-Colburn is an Associate Professor in the National School of Tropical Medicine as well as in the Infectious Diseases Department at Baylor College of Medicine, Houston, TX. She also serves as Director of Medical Education in the National School of Tropical Medicine and Medical Director of the Baylor Medicine Infectious Disease Group and the Tropical Medicine Clinic at Baylor. She received her MD from Universidad Francisco Marroquin, Guatemala City, Guatemala. She was recruited by the Infectious Diseases Department at Baylor College of Medicine in 2010 to start the HIV/AIDS transition service at Ben Taub Hospital/Harris Health System, Houston, TX. She went on to start the first tropical medicine clinic at Ben Taub Hospital/Harris Health System. Since 2012, she has helped oversee infectious disease cases at Baylor St. Luke’s Medical Center, Houston, TX. 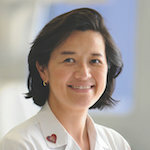 Her professional interests include tropical medicine, HIV/AIDS patient care, medical education, endovascular infections, fungal infections, and non-tuberculosis mycobacterium. Dr. Woc-Colburn received the Norton Rose A. Fulbright Faculty Excellence Award in 2016, and the Rising Star Clinician Award in 2015, reflecting her commitment to both medical education and clinical excellence. Dr. Woc-Colburn is a fellow of the American College of Physicians and the Infectious Disease Society of America, as well as a member of the American Society of Tropical Medicine and Hygiene, the International Antiviral Society, and the Asociación Guatemalteca Enfermedades Infecciosas. 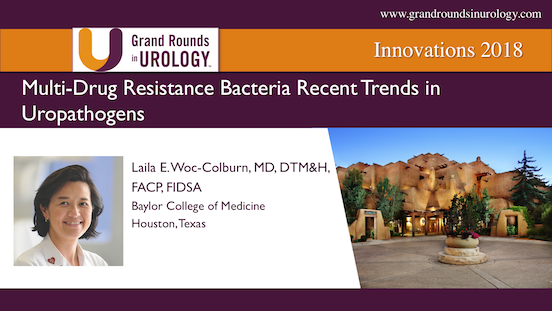 Laila E. Woc-Colburn, MD, DTM&H, FACP, FIDSA, describes the identification and treatment of multi-drug resistant (MDR) gram-negative infections and the role of gram-negative bacteria in determining empirical antimicrobial therapy. She also discusses different strategies for treating MDR genitourinary infections. Laila E. Woc-Colburn, MD, DTM&H, FACP, FIDSA, discusses the current scope of antibiotic resistance and risk factors for infectious complications in transrectal biopsy. She also reviews a questionnaire developed for assessing risk factors and the use of a rectal swab to direct antibiotic prophylaxis.